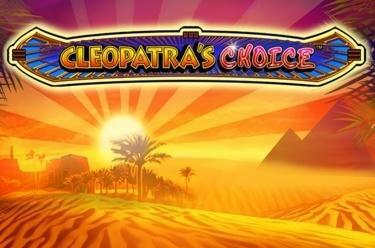 Play Cleopatraʼs Choice™ online for free now! Play Cleopatraʼs Choice™ and you’ll get to take your pick: In the bonus features, the beautiful queen will allow you to choose which treasure you take home. So, with a little luck, you could win 1,000 times your stake, bonuses and other mystery winnings. Follow Cleopatra down the twisting and turning corridors of her temple and get your hands on the valuable Twist relicts. Get 5 matching symbols on one of the 5 win lines and the Twists will be yours! The winning patterns that run from left to right across the reels cannot be interrupted by any other symbols. The Eye of Horus is the scatter symbol: If 3 or more appear in any position on the reels, they could multiply your stake by up to 1,000 times. 3 or more bonus symbols (pyramids) along a line activate the Pick-and-Win Bonus. Cleopatra is the joker symbol in the game: She substitutes for all other symbols except for the Eye of Horus and the pyramids. 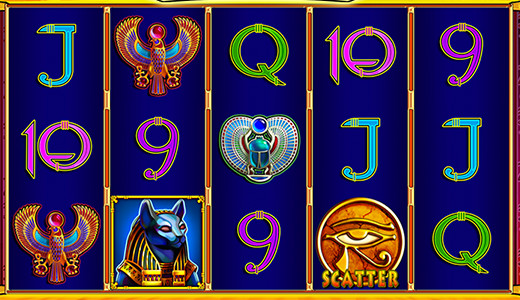 If 3 or more pyramid symbols (bonus symbols) land on reels 3 to 5 along a win line, the Pick-and-Win Bonus is triggered. You will be presented with five closed doors - you must choose which one to open. The more line winnings with bonus symbols you got in the game that triggered the bonus, the more attempts you will have. The maximum is five. There is a bonus win behind every door. With a little luck, you’ll choose the door that leads to the Mystery Bonus Room: There you will be able to take your pick from a selection of books that will guarantee you a mystery win!